Most jobs on a working holiday tend to be short-term and seasonal. These jobs are typically in fields of travel and tourism, hospitality and resorts, food and beverage, retail, manual labor, event set up, etc. Jobs can range from one day to a few months. That being said, it is possible to find more professional work. Just speak with our in-country partners about your work goals and they can point you in the right direction and provide resources for your search. On the Australian Work and Holiday Visa, you can only work for the same employer for up to 6 months. How do you help me find a job? Our partner maintains a jobs database listing positions throughout Australia including warehouse work, hospitality, office temping jobs, farm work, and other positions, allowing you the freedom to work for a few weeks or months and then take time to explore Australia! They also handle staffing for short-term positions in Melbourne and Sydney for more direct job connections. When you need extra help, friendly staff are available in person (Sydney and Melbourne) and of course by phone and email. Many jobs don't require previous experience so don't worry if you don't have a ton of experience. If you have applicable experience or specific skills, there are jobs that would help boost your resume (e.g., wait staff and chefs). Participants who stay engaged with the support staff in Melbourne and Sydney usually land their first position within 1-2 weeks. Keep in mind that many positions are very short term and most people string together various jobs through their program to make it work. It's very possible to fund all of your in-country expenses, and as long you aren't an excessive spender, to put money aside for some adventures! Can I get a job placement before I get to Australia? Most employers will not hire before a participant is in the country and often with a face-to-face interview. You'll have access to the jobs database before arrival and it never hurts to do some initial searching and outreach beforehand. How much will I earn in Australia? The amount of money you earn depends on the type of job you do. The minimum wage is AUD $18.93 but many jobs pay upwards of AUD $20.00 per hour. Certain jobs (like farm work or resort work) may adjust pay to some extent if housing is included. Where will I live and how much will it cost? Most people stay in hostels here and there while they travel around, but if you are planning on settling into a city for a few months, you might want to arrange a place for a longer stay. Many shared rooms in apartments rent week to week or month to month, so you don't have to sign into anything for too long. Here are some other accommodation options you can consider. WWOOFing is also a great add-on option, especially if you like being outdoors. Sydney and Melbourne are generally the most expensive cities for accommodation. You'll probably pay around $200 AUD for a shared room per week if you are in short-term accommodation. If you want your own room, it'll cost more. If you are staying in a town or city, it's worth thinking about staying in an apartment, or sharing an apartment. It's generally cheaper to do this, and you'll be paying by the week rather than by the day. The support teams in Melbourne and Sydney can help you find housing and even arrange apartment viewings. Travel medical insurance before you travel. You'll want to make sure you have coverage and we can name some affordable options. Support funds. Within the visa application you may be asked to show that you have support funds of $5,000 AUD. You can arrive any day and stay as long as you want (up to one year) but the optional Welcome Weeks begin on specific dates in Sydney and Melbourne. Many participants purchase a one-way ticket initially, allowing ultimate flexibility. The only time we would not recommend arriving is during the December holiday season and the first few days of the new year (about Dec 20 - Jan 4). You don't have to stick to a specific end date either. We'll ask for your best estimate so that we know when to send your alumni materials but if you decide to change this while you're in the country it's totally fine. Welcome Weeks in Sydney or Melbourne give you extra nights of accommodation (seven total) and a bunch of outings with new friends! With our standard program you can arrive most dates throughout the year, but the Welcome Weeks have specific start dates, so check the links above or contact us for more information. 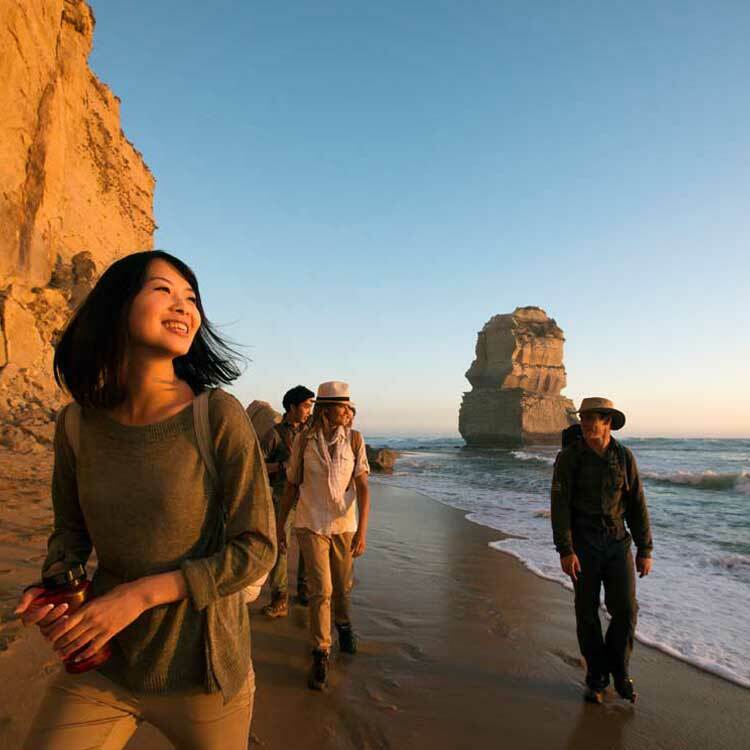 You'll be transported from the airport to a modern hostel in Sydney or Melbourne, where you'll get two nights (seven nights on Welcome Week program) to recover from your journey and connect with fellow international travelers. The hostels organize fun social activities to help you acclimate to your new home! Our online application is free to start and easy to complete. Just a few forms and documents and we're always here if you have any questions. What is the Australian Work and Holiday Visa? 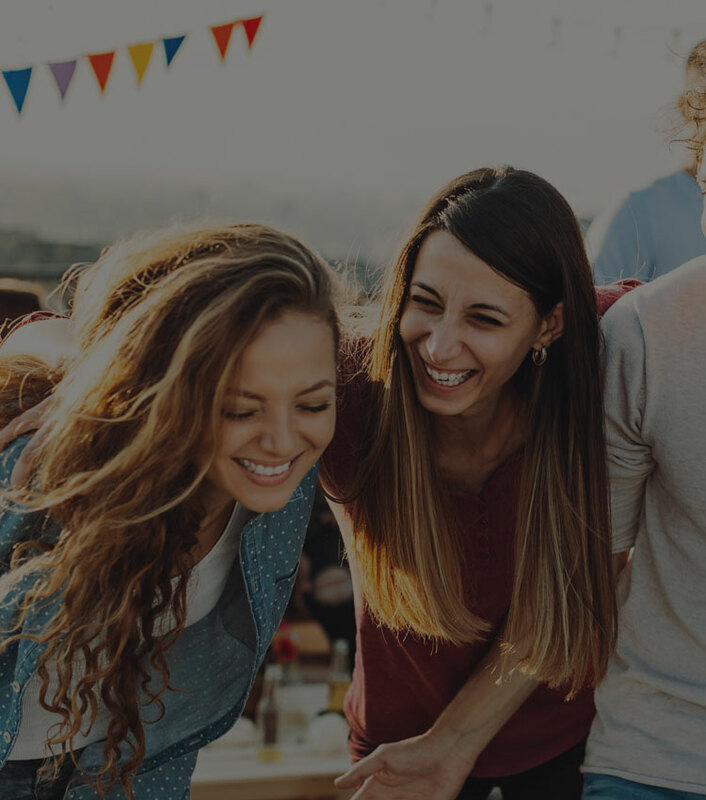 U.S. citizens between 18 and 30 have access to a Work and Holiday Visa in Australia, which is a government authorization letting you to travel and take on paid seasonal work for up to one year (with the possibility for a second year visa now available). You can read more on the concept of a working holiday or drop us a line - we're the experts! Yes. The Work and Holiday Visa is a multiple-entry visa, which means you can leave the country and come back during the 12 months your visa is valid. Make sure you are aware of entry/exit requirements for any other countries you visit. Do I have to stay in Australia for 12 months? No. You can stay as long as 12 months (with the option for a second year visa), but there's no minimum stay. We recommend staying for at least 6 months in order to get the full experience. If you can only do 3 or 4 months, you might want to contact us for some ideas so we can make sure you're ready to hit the ground running when you arrive. Can I extend my Work and Holiday Visa? U.S. citizens who work in northern Australia for at least 88 days in tourism, hospitality, agriculture, forestry or fishing can apply for a second Work and Holiday visa. Can I take classes while on a Work and Holiday Visa in Australia? Yes, you can study for up to 4 months. Can I work for the same employer the entire time of my stay? On the Australian Work and Holiday Visa, you can only work for the same employer for up to 6 months. If you're not sure if you meet the requirements for this program, please feel free to contact us to discuss. The majority of applicants will be accepted but it's always good to check in with us so we can talk about your goals!